The prepper community stands firmly in the American tradition of self-reliance and inventiveness. 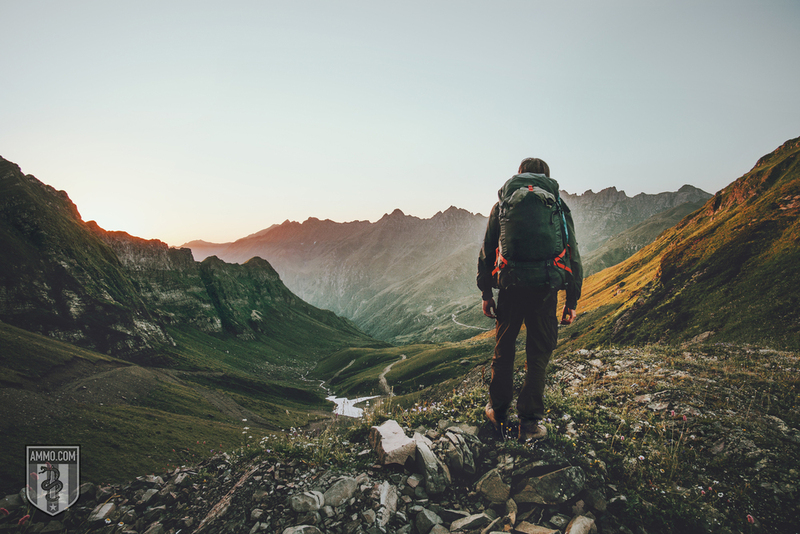 Survival prepping stresses ingenuity, connectivity to your community, and homespun, time-tested solutions that increase resilience while decreasing reliance upon consumerism. While some are prepping for the most extreme scenarios possible (nuclear winter, an EMP taking out the entire power grid, total social collapse, or extreme natural disasters), others are preparing for more modest disasters. For example, what would you do if the power went out for a month or even a week? Or if there was a run on the food supply at the local grocery store? Both are situations where survivalists are well prepared, even though it’s not the zombie apocalypse. There’s no two ways about it: All the ammo in the world isn’t going to do you any good if you don’t have anything to eat. That’s why Secret Garden of Survival is the very first entry on our list. This website is run by Rick Austin, a well known and highly respected member of the prepper community who runs Prepper Camp, definitely something to look into if you’re starting from square one. 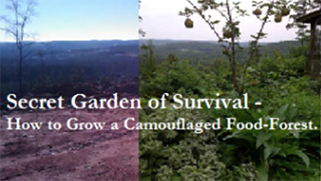 The Secret Garden of Survival provides you with insight not just on how to grow food, but also how to keep your food supply a secret from what the website calls “the zombie hordes.” This is especially important since some preppers go all in on ammo – and when they run out of food, well, even good people are going to start acting ugly. You’ll learn how to produce a high yield, allowing you to feed your family and friends without having to worry about raiders taking it. Survivor Jane is the website run by Rick Austin’s wife, Jane. The site bills itself as “Survival Preparedness for Women.” To that end, you will find information on how to look your best while the zombie apocalypse is raining down destruction around you. Survivor Jane fills an important niche in the prepper and survivalist community: Giving practical and actionable advice oriented toward women for the end of the world or the end of a work shift late at night. Inside you’ll find information on how to prep your bug-out bag, as well as food, first aid, grooming, and hygiene tips – all for the woman getting ready for the S to H the F. If that doesn’t sound useful, she also provides information on female-oriented self-defense and home invasion scenarios. More than just a prepper blog, this is a website for any woman who wants to know how to defend herself – and look good doing it. When it comes to survivalism, this is perhaps ground zero for a lot of people – but it’s not just about survivalism and prepping. The Survivalist Blog also covers homesteading, guns, the outdoors, DIY projects, and food. If you’re into prepping, great, but it can also be a wonderful resource for people leading more simple and rural lives. Learning how to make your own stuff means less money spent, new practical skills acquired, and more time spent with friends and family. The overall focus of the website is on being practical, not lofty. To that end, there’s a regular feature showing what has been done to prep over the course of a week. Seeing what serious preppers do on a weekly basis is a great way to take a lot of the mystery out of the process. If you read a blog entry a day, you would get a serious education in how to prep, how to homestead, and how to live a more fulfilling life less reliant upon big-box store commerce. Survival Blog publishes daily, and is one of the oldest survival blogs on the internet. Proprietor James Wesley, Rawles is the name in survivalism, having literally written the book: How to Survive the End of the World as We Know It. He has also authored a series of novels about survivalism and prepping. The movement to move to the American Northwest and wait for the end of the world as we know it (TEOTWAWKI)? That’s called “American Redoubt,” and you can thank Rawles for that one as well. Rawles focuses on TEOTWAWKI, but not just from man-made sources. He’s equally concerned with natural disasters. What’s more, you’re going to find more of a focus on Christian charity on his website, as it’s a core part of his identity and beliefs. You’ll find a wealth of reasonable information about TEOTWAWKI, all of which is surprisingly plausible. Rawles has thought about every nook and cranny of what might go wrong in a cataclysmic scenario and is passing his knowledge on to you, totally for free. This should be a daily part of any prepper’s reading. Maybe you’re not necessarily looking to survive a zombie apocalypse. Maybe you just want to live off grid. Or maybe you use off-grid living as a way to prep. 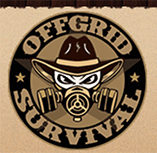 No matter what, OFFGRID SURVIVAL is an excellent resource for people living that kind of lifestyle. Not only will you get actionable advice suitable for beginners and old hats alike, you’re also going to get slice-of-life stories from people living a similar lifestyle to your own. In an increasingly centralized, commercial and statist world, it can be good to see others like you living outside of the box. The site is run by Robert Richardson, author of The Ultimate Situational Survival Guide: Self-Reliance Strategies for a Dangerous World. He boasts more than two decades of experience living the off the grid. He’s also been teaching it to others, which is perhaps what makes his website so accessible. Frequently a guest on national news outlets, his training runs the gamut from survivalism to hunting to martial arts to emergency communications. If the post-apocalyptic world is going to need anything, it’s moms. So, thankfully, we have The Survival Mom around to teach moms and potential moms how to prep and survive. The website includes a blog, a podcast, a store, and books and tutorials – everything that the modern mom can use to start getting prepared. Lisa Bedford has been running The Survival Mom since 2009, and she’s compiled over 1,600 articles to help people prep and improve their lives while they do it. One of the best things about The Survival Mom is that it will show you how to prep without becoming totally overwhelmed. She has taken baby steps toward prepping, and can show you how to do the same. The Survival Mom is living proof that little steps on a consistent basis can have you ready for any emergency. A lot of survivalist blogs focus on two main things – guns and groceries. However, there’s always going to be an economic element to when SHTF. How will you prepare economically for TEOTWAWKI? What’s more, how can you read the economic tea leaves to know when you’re closer to TEOTWAWKI than not? The Economic Collapse is where you can follow monetary policy, the energy markets, and currency fluctuations. You can also follow a rather unlikely stream of information: the weather. Big weather events are a favorite topic of TEC’s proprietor, Michael Snyder. This is also a Christian blog and that philosophy runs throughout everything Snyder does. His more political and philosophical writings (as well as more information on weather) can be found at The End of the American Dream. Both of these are worthwhile reading for preppers, especially those interested in tracking the news to see both the beginning of the end and Biblical prophecy in today’s headlines. With so much content for new preppers, old preppers and wanna-be preppers to dig through – the word for American Preppers Network is “dense.” What’s more, the breadth of the site is impressive. They cover food and guns, of course, but also health, proper food storage, self defense and sustainable living. The keyword in the name of the website is “Network.” That’s really what the site is – by preppers and for preppers. There’s a forum and a HAM radio network associated with the website, which will help if you have questions or if you just want to socialize with other people in the prepper community. Peak Prosperity is a library, or series, of courses about proper prepping. They sell books, including ones endorsed by Zero Hedge’s pseudonymous founder Tyler Durden. You can get these in classic paper, ebook or audiobook format. However, one place where Peak Prosperity really distinguishes itself is seeing prepping as a small part of a greater whole. Getting ready for the SHTF is all well and good – but what do you do in the meantime? They’ll help you to answer that question with one of their books, specifically about how you pick the right career path. The “Crash Course” is totally free and gets you up to speed on why you should be living a purposeful life – one that includes getting ready for TEOTWAWKI. This one is probably the most gun-centric of the sites we list here, but by no means does that imply that SHTF Blog only discusses firearms. Recent excellent pieces include a coffee can survival kit and a question very near and dear to our heart: “Are we living in a police state?” The website also includes a forum where you can keep in touch with other members of the community. One of the things we really love about this site is that they inject some personality into their writing. The above-mentioned police state article is simply one example of this. We’re also big fans of “The Care and Feeding of Socks” and “Surviving SHTF Holidays.” The whole subject of SHTF can be very difficult and morose to deal with. Having a bit of levity and personality injected into the topic is always a welcome addition. SHTF Preparedness is fixated on what you might call lifestyle: Food, what to do with old jeans, how to spend your money, survival gear reviews, and the like. It’s a great place for both recipes and for advice on how to find the best meat when the best meat isn’t found at the grocery store. There are also excellent tutorials for making your own stuff around the house. Modern Survival Online (also known as “MSO”) is a comprehensive website about prepping for people at all levels of the game. They run the gamut from how to prep food and guns (of course!) to how to use survival and prepping skills to improve your overall quality of life in the here and now, long before SHTF. One of the best things about the site is their insightful commentary on all things prepper – including the article questioning whether urban survivalism is even truly possible, the top candidates for where World War III might start, lessons on survivalism from the Great Depression, and how to prepare children for disasters big and small. These thoughtful and insightful articles are one of the things that sets MSO ahead of the rest. There’s useful and there’s just plain cool. Survival Sherpa is both. You can see just what can be done with a minimal supply of tools and the land around you. This is a subset of survivalism known as “self-reliance skills.” Arguably, these are the most important skills you can have in a SHTF scenario. Who needs a large stockpile of food when you know how to fashion a bow and arrow from the materials around you, starting with a rock to cut down the tree. An admirable aspect of the website is the proprietor’s emphasis on teaching these skills to children. Whether we end up in a SHTF scenario or not, there are few better ways to get kids off on the right foot than with teaching them survival skills. These are confidence boosters if nothing else. He’s also very candid about his own foibles and shortcomings, which is great as a reminder that even the experts aren’t always perfect. The Survival Doctor is a website maintained by a legitimate medical doctor: Dr. James Hubbard, MD, MPH. While people often get hung up on “guns and groceries,” it’s important to remember the other side of the coin – medical care in a world where you can’t dial 9-1-1. This spirit is what led Dr. Hubbard to start this website. There are articles on how to get started with prepping, as well as general health articles for those concerned about staying in top shape, even when the S is not Hing the F. This website is truly a public service for preppers and non-preppers alike. While preppers and survivalists are often thought of as “meat and potatoes” kind of people, there’s no denying a lot of overlap between the prepper community and those interested in organic, healthy lifestyles. The Organic Prepper is dedicated to the overlap of these two areas of interest. Inside are articles about prepping, but also frugal living, the organic lifestyle, current events and weather patterns. One of the great things about Commander Zero is that it’s both prepper instruction and a daily log of one man’s slog through the world of prepping and survival. Much of the appeal comes from watching him identify problems and work through them on a day-to-day basis. The Skinny Medic is run by a paramedic and is designed to turn you into a first responder – or at least a slightly better one than you are now, in the event that you find yourself in a traumatic medical situation. In addition to medical information, the channel also contains info about firearms and gear reviews. While he’s very clear that this is not a substitute for formal medic training, some informal training is better than none at all. Become ready so that others can continue to live. It’s all in the name: Sensible Survival. Cool, entertaining and informative – this website is for people who are trying to acquire new skills to make their lives better while getting ready for the SHTF scenario. Gear reviews, flashlight reviews, knife reviews, and information about how to pack about a million different kinds of bug-out bags round out the rest of the content on Sensible Survival. One thing that all of our recommended YouTube channels have in common is an emphasis on the practical, and Engineer 775 is no exception. Two of the main areas of expertise he shares are energy and water – both of which are absolutely critical in any kind of disaster or catastrophe. There are even tutorials that are an intersection of these two topics. Very cool stuff, whether you’re a prepper or just curious about what humans can do. 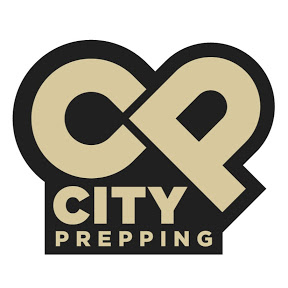 Can you prep in a city? The City Prepping YouTube channel thinks so and is dedicated to showing you how to prep for disaster without having to relocate to the Idaho panhandle. The channel aims to provide the 80 percent of America living in cities and suburbs with the information they need to survive and thrive in the event that disaster strikes. The owner of the channel holds a degree in microbiology and has worked for several NGOs in the third world. He now works in the tech industry and lives in Southern California, which means his lifestyle is probably not all that different from yours. Preparedmind101 (or PM101) is maintained by a man with a passion for blades and gear. So if you share those interests, following this channel is a no-brainer. Proprietor Chris Tanner also focuses on wilderness survival, bushcraft and getting into the right mindset for prepping properly. In the Rabbit Hole is an urban prepper podcast with a focus on teaching you how to get ready for calamity in cities and suburbs. Going strong since 2010, these are some city slickers who love the outdoors and love sharing their passion with listeners. They want to make a very dark topic accessible, entertaining and fun – an absolute must listen for urban preppers. The Survival Podcast is precisely what survival and prepper media ought to be: Accessible, fun and filled with skills that will improve your life – whether or not the world as we know it comes to an end or just keeps plugging along the way we’ve always come to expect. While many preppers have libertarian politics, these are rather explicit on Jack Spirko’s podcast. In addition to the podcast, there’s a blog on the website that’s worth reading. The Survivalist Prepper Podcast is a realistic, down-to-earth, dense and informative podcast for people at all levels of prepping. The show is broad-based, but primarily focused on how to handle a crisis (however, they also have a broad view of what constitutes a crisis). One of the best aspects of this show is that they understand you’re far more likely to have a personal calamity than you are to experience the end of the world. To that end, they show you how to prepare for all of the above. The website includes prepper tools and a guide to prepping for beginners. Mind4Survival (also known as M4S) features host Brian Duff interviewing other people who are knowledgeable about the world of prepping and survival. You’ll learn things that might save your life, but will definitely improve your quality of life while you wait for the end of the world. Duff is a former Army Ranger, paramedic and firefighter, so he definitely knows a thing or two about survival and prepping. He’s a very down-to-earth podcast host who can give you practical advice about how to protect yourself and your family. The Casual Preppers Podcast is, like the other podcasts on our list, accessible and entertaining. It’s also very slick and professional, and it’s a great place to start for people looking to regularly listen to a prepper podcast. The orientation of the podcast is for regular people looking to make improvements in their lives through prepping. One great way to cover a broad range of survival and prepper information is with this Feedspot of the top 100 survival blogs on the internet. Dig through it and see if you can find anything that appeals to you personally. Subjects of interest are always the best place to start or to continue your prepper and survivalist education.